In this online video for kids, vlogger Yaysa is enjoying a day at the beach. Splash around with her and sing along to the nursery rhymes ‘Baby Shark’ and ‘Skip to My Lou’. 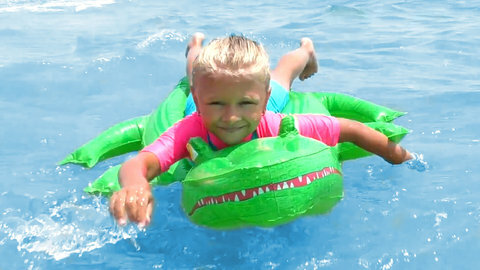 Make sure and use a floating device when you swim and practice safety tips! For more cool videos for kids visit SeeZiskids.com and watch for free!